Pest control responsibility in UK rentals is often a very unclear topic for all parties. There are literally thousands of ways pests can be introduced into the property, which makes it hard to determine who should take matters into their hands and deal with the problem. In this detailed guide, we have reviewed possible scenarios you can find yourself in as well as different ways to proceed, depending on the situation. 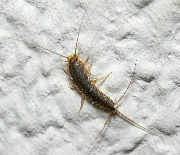 We will also cover some common questions about pests in rentals. Can I break my lease because of mice infestation? Who’s responsible for a mouse infestation? Who’s responsible for a rat infestation? Who’s responsible if there’s a wasp’s nest on the property? Who’s responsible for an ant infestation? Who is responsible for a cockroach infestation? Who is responsible for a bed bug infestation? As a landlord, you would be expected, as far as possible, to keep your property free from pests and in a way, that neither attracts them nor makes it easy for them to occupy the property. The Prevention of Damage by Pests Act 1949 is still in force, and you could be served with a statutory notice to eradicate the pests if an infestation at your property is causing a problem for tenants or neighbours. The bottom line is that all landlords should guarantee the healthy living conditions for any tenant, prior to them moving in. Moreover, they have to ensure that, if any, repair work is completed in a manner that isn’t causing nor making a pest problem worse. Landlords, as well as RSLs (Housing Associations and Registered social landlords) are responsible for pest proofing, and are also obliged to sign a contract for regular pest treatments, if their property is located in an area with high population of seasonal returning pests. UK Councils can serve an enforcement notice on landlords who refuse to take care of pest infestations on the territory of their property. If the Council has to eventually arrange the extermination procedure, the landlord will be legally forced to pay all costs for it; the landlord will have to pay all administration costs as well. Some local councils are not obliged to provide pest control treatments to tenants of private and social landlords or housing associations, no matter if they receive Housing Benefits or Council Tax Benefits. Moreover, some councils provide pest services only if they find it necessary or threatening enough to potentially cause health issues to other residents. It is worth to remember that landlords are also responsible for the “public health”, meaning that neighbours and other residents must not be put at risk because a certain homeowner has simply decided not to take care of his property. Diseases are only one of the risks to which people are exposed because of pest infestations. Almost any vermin species is also able to cause damage to property and belongings, contaminate foodstuffs, destroy personal or commercial reputation and more. Fail to notify the landlord on time, delay pest treatments or fail to successfully arrange the extermination and proofing of the rental property on time. In such cases the infestation might spread even further and endanger other residents or cause structural damage to the dwelling. If a tenant attracts vermin inside a building because of negligent behaviour (for example improper waste disposal or increased risk of infestation due to frequent traveling) and this is supported by an investigation from a Health Officer, the tenant becomes fully responsible to resolve the pest issue. No matter the case, a tenant should always double-check his tenancy agreement before notifying the landlord about the infestation and before arranging a pest control service. If the tenancy agreement between a landlord and tenant clearly states who is responsible, then both sides must comply to the document. Usually, the document will contain the landlord’s duty to keep the property in habitable state until it’s being let. There are also rare cases when the tenancy agreement points a specific side which is responsible for pest control no matter the circumstances. Referring to the agreement is the easiest and fastest way to prevent most conflicts between landlords and tenants. If the lease agreement doesn’t contain information about pest control, it becomes extremely important to determine whether the property was infested before or after the tenant got in. Sometimes this process may be difficult as some infestations may not be detected until they develop, but one thing is certain–it’s every tenant’s obligation to inform the landlord of the problem as soon as it has been noticed. It’s also highly recommended to support the notification with evidence such as photos or video footage of the pest. If the landlord refuses to investigate the matter, the renter can consult an attorney, who will further review the issue and give detailed instructions on how to proceed next. One of the possible scenarios is to report the pest problem to the local council, which will dispatch an environmental health officer to the address to carry out a thorough inspection and rule out who should take care of the issue. Repair work negligence is one of the main reasons for rodent infestations such as mice and rats. In case it is written otherwise in the agreement, a landlord is always the one responsible for caused pest problems if the disrepair has arisen prior to the tenant entering the property. All tenants should check if the property has been well taken care of in terms of repair work before signing a lease. If the property is in a good state and the lease agreement has been signed, the tenant becomes responsible for its condition onwards. If repair work due to pest damage is required, later on, the tenant should inform his landlord for that need as soon as it arises. If this notice is delayed or not given at all, the tenant might become responsible to deal with the problem. Tenants of private landlords, housing associations and RSLs, can reach out and seek help from the local council. This usually happens after their landlord has refused to deal with the issue. The council is obliged to investigate the circumstances which led to an infestation but will also check if the tenant has lawfully informed the landlord of the situation. This is why it is not recommended for tenants to contact the council before they try to resolve this with their landlord, as they might be referenced back to their landlords anyways, thus losing precious time and risk worsen the situation. Checking the lease agreement once again before contacting the council is also a must because it will help avoid misunderstandings and mistakes with the local authorities. If the tenant fits the council’s requirements, it will serve an enforcement notice on the landlord to deal with the pest. Mind that such notices may also be served on tenants if they refuse to take responsibility for pest control in the opposite scenario. 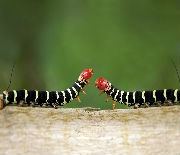 Any council will work towards partnership with both sides in order to resolve the issue, however, the side that is responsible in the particular situation will be eventually forced to deal with the pest. The duty to deal with pests in a rental is often something that should be shared with the housing association. To determine the obligations of each side, review the terms and conditions described in the tenancy contract. One thing is certain, there is no ultimate standard–things are different for each property. In addition to this, local council regulations may also affect the liability of each side. In case of disrepair or neglect due to any repair work happening on site. However, tenants would be responsible for any infestations that occur in their own flats or apartments (this again varies between different properties), especially if the problem appeared due to negligent behavior from their part. In any case, the tenant should always inform its housing association for the issue. It is indeed so complex, that in order to determine who has to take action, a mutual, effective communication between more than two parties is required. Generally speaking, there are two ways to deal with such problems–stop the pest yourself or get professional help. The latter is with the help from your local council or a pest control provider. Relatively cheap way to manage pests at home. You are in control of the substances used around your property. Suitable for minor pest problems. There are green ways of deterring pests you can utilise. It takes time, effort and extensive research. A second treatment might be even more expensive. Some pests require professional knowledge. Local councils are also an option when dealing with pests in a rental. However, most services require certain conditions such as paying in advance or contacting the council at particular time. Not to mention that the service will take time to happen as well because the council offers the service throughout other local pest control companies. Check the table below, for a detailed comparison of both – council and professional pest control. Can’t provide treatment during weekends and off-hours. Most councils don’t offer deals or discounts. Some councils treat only particular pests. Many councils in UK have limited payment options. Most councils require payment in advance. No availability for emergency pest control. Not all councils do wasp nest removal. You get charged for cancellation, no matter when the service was cancelled. Customer support is limited for office hours only. Some local councils have a waiting list. 24/7 customer support and pest extermination even on weekends. 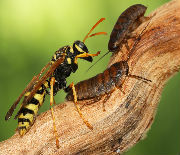 Pest control for any type of pest in UK, except protected species. We don’t require prior payments. Emergency pest sessions are available. We don’t charge per hour but per job. Our wasp control procedures include removal of the nest. You can cancel a service at any time free of charge up until 24 hours prior to the appointment. The pest controllers do not just exterminate the vermin, they also make sure the property is afterward sealed professionally to prevent a following infestation. This is a preferred option for people with little or no experience in pest control who also want to deal with the pest problem once and for all, without taking unnecessary risks. You can do this in case you are 100% sure that it’s the landlord who’s responsible for the mice infestation. For example, if there is structural disrepair for which no actions were taken on behalf of the landlord, the tenant has the right to contact the local Environmental Health Officer. Then, the council will have to take action. This is often a reason for landlords to prefer evicting their tenants instead of doing the required repair work to the property. If your landlord makes an attempt to evict you, while it’s his mistake that mice have infested the property, this is unlawful. Our advice is to contact an attorney, after which breaking your lease might be the better option. Before doing anything, first check your contract with the landlord for any information on pest control. If the property has been pest-free when the tenancy contract was signed, this means the infestation is a responsibility of the tenant. He is obliged to notify local authorities of any mice or rats that are living or resorting to the land. The authority will carefully review the notification and will serve notice on the owner of the property or on the occupier, in which the actions to be taken will be described, a deadline for the pest extermination will also be stated. So, it’s basically up to the local authorities who will be held responsible for the mouse infestation. If either the landlord or the owner ignore the notice of the authority, the council will do pest extermination and all expenses will later be recovered but with additional charges for postponing the treatment. Situation with rats is similar to the one with mice but there are also grey areas in this whole scenario which have to be explained. It may turn out that the landlord and tenant already have an agreement, which was signed along with the initial contract between both sides. A similar thing may have happened with the property management company who have taken care to leave a responsible person in case there is a need for pest control at some point. Before finding a tenant, the landlord is responsible to do anything that is required to pest proof the property, however, many landlords don’t do this on purpose as it may cost them a lot. If a property is carefully taken care of and the tenant finds it in good condition, he is responsible to keep it in such during his tenancy. If the tenant is responsible for attracting rats inside, then he will be held responsible to take care of the rat control. Common mistakes are improper food waste disposal or ignorance towards structural damage, which leaves entry points for the rats. Again, it’s a matter of negotiation between the tenant and the landlord, unless it is clearly written in the lease agreement. However, if somehow the tenant succeeds in proving that the wasp nest was there before he signed the agreement, the landlord will have to call wasp nest removal experts who will treat it and then remove it from the property. Ants are most often attracted by food leftovers, which means the crawling insects usually infest a property once the tenant gets in and takes no care to sanitise the building regularly. If the tenant is indeed the reason for the ant infestation, the landlord has no responsibility to pay for treatments. The property owner has the right to serve a notice on the tenant that if no actions are taken, treatment will be done despite the tenant’s ignorance and he (the tenant) will be charged for the pest treatment, despite his will after the council takes side in the conflict. The reason for cockroach infestation might be issues with the neighbour or any other systemic problem that has been ignored for too long. 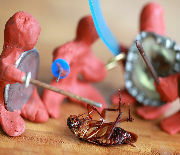 The pest may also be brought into the property from outside via luggage or any form of personal items, which have been contaminated with cockroach eggs or living insects. It’s very hard to prove the source of the infestation, which may cause of conflict who is responsible for the roaches inside the property. To avoid such a conflict, the tenant should report the pest problem to the local council as soon as possible, otherwise he will be fined for postponing it for too long. Bed bugs are very hard to identify and the bite marks they leave are often mistaken for a skin rash, not caused by pests. 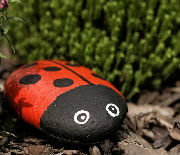 The bugs may be brought to the place in a variety of ways, the most common of which is along with the luggage after getting back from a trip. Your best option to avoid paying for bed bugs extermination is to make a quick inspection right after you get inside the rented property. Check places such as the mattress, luggage racks, clothing racks/shelves etc. If you notice small red marks, or bodies of dead tiny black insects, it’s probably bed bugs. The red marks come from the blood which was sucked from previous people or pets. In case you end up in a property like this, instantly demand from your landlord to disinfect every room inside the property or simply start searching for another place. Bed bugs treatments might be affordable but may also be quite expensive, depending on the scale of the infestation and the treatment method for the job – you don’t have to spend from your budget for this. If the tenant has been living for a long time into the property and is about to leave it, the landlord is able to hold any deposits, as it is evident that the bed bugs have been brought by the tenant. The deposit will be used as a compensation for the required bed bugs extermination. Before writing any form of letter to your landlord, read again the specifications of the lease agreement between both sides. It may turn out that the questions you have are already answered somewhere in the agreement. In case the problem you have is listed as the landlord’s responsibility inside the lease agreement, just mention this in the letter that is about to be written and send to the landlord. Make sure that any vague language is interpreted correctly because grey areas may easily occur in such kind of papers. Introduce the issue clearly. Address the letter to your landlord simply, and then explain why you’re writing. In the case of having a pest infestation, you should start with this, without providing any useless information at first place. Detail the problem. Give more information about the pest problem such as: When was the infestation initially spotted; What kind of pest species you’ve seen; How severe the problem is. If you somehow managed to gather evidence that proves the pest problem, attach it into the letter at the form of photos, videos etc. Make a specific request. After explaining the problem in detail, make a clear request to your landlord. Regarding pest control, the request might be for scheduling a pest treatment or doing repair work to the property. Whatever it is, the request should be about returning the property to its previous condition of being completely tenable. Explain the consequences if your response is ignored. Your landlord may decide to neglect you request, despite the facts that it’s adequate and lawful. To avoid this, make the consequences of such actions clear in the pest control letter to him at first place. The key to controlling pest infestations is maintaining close working relationships between tenants and landlords, and ensuring that the pest control contractor used is a reputable company that has insurance, adequately trained staff and a secure trading history. Acts of parliament, written half a century ago and being functional for over 50 years now, are a form of regulation on why and how pest infestation inside buildings should be stopped. Based on such parliament acts, the tenant or landlord should arrange the extermination of the vermin, otherwise the council will take action and additional charges will have to be payed for postponing the treatment that had been necessary. To minimise the chances of water contamination and waste generation such as animal feces, which may spread various diseases. To prevent structural damage to buildings or even demolition due to severe fatigue in construction caused by vermins such as rats. This act gives clear meaning of “verminous”, which in sections 83 and 85 of the act is described as: anything that is contaminated by eggs, larvae and pupae of insects and parasites. The Public Health act from 1936 “gives local authorities the power to serve notice on the owner or occupier, specifying the works, required to eradicate the vermin”. Section 37 in the Public Health Act from 1963 “prohibits the sale of any household, which is verminous” (for the meaning of verminous read the paragraph above). Section 74 of the same act gives local authorities the power to deal with damage to buildings that has been caused by pests such as: feral doves, sparrows and starlings. If birds are to be controlled, it is forbidden to do it inhumanely. Which means any regulations from the Wildlife and Countryside Act of 1981 should be carefully followed.